Aggies for Christ is a campus ministry that serves the students of New Mexico State University and the young adults of Las Cruces, NM. "AFC" strives to be a place where people feel like they can belong. We believe the gospel of Jesus is still changing lives and we have a front row seat to what God is doing on the campus of NMSU. Come join the movement...For the Campus, For the City, For the Good. Midweek service meets Wednesday nights during the fall and spring semesters at 7pm in the UCC auditorium (1555 E. University Ave.). AFC also takes two retreats, one every fall and spring semester. 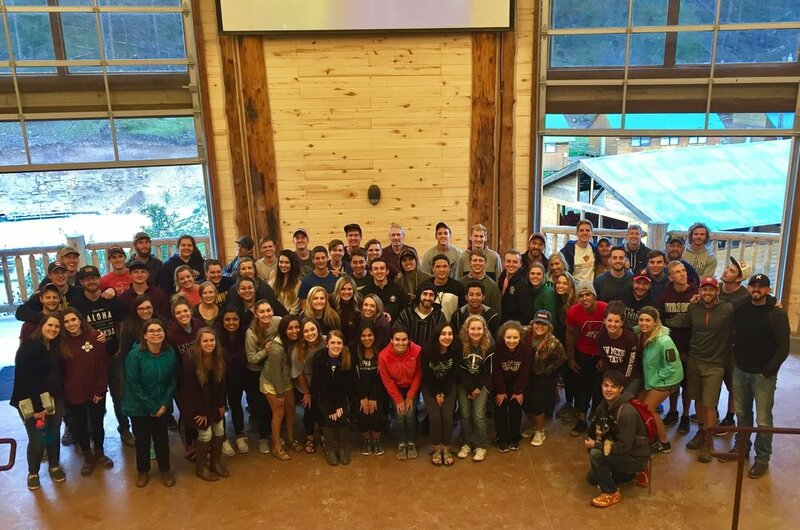 Retreats are mountain get-a-ways complete with a guest preacher, great food, beautiful scenery, and time to unplug from everyday life and dive deep into relationships with their church family.